Car Wash USA is a brand new, state of the art, wash facility located at 8900 Green Meadows Dr. in Lewis Center, OH. We use the most up to date technology in our wash system to provide the best possible service in the car wash industry. Regardless of which wash package you choose, you’ll receive a clean car from roof to tires. With our state of the art touch screen auto-tellers, and high-tech wash process, you’ll be in and out in no time! 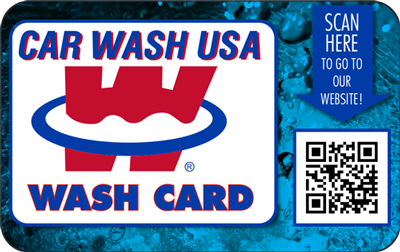 Give the gift of a clean car with Car Wash USA gift cards! Available in any dollar amount you choose. Vacuums are free to all, regardless of purchase. With 10 high-powered, long hosed vacuums to choose from, you’ll never be waiting for a unit. Use them as long as you like. It’s on us. 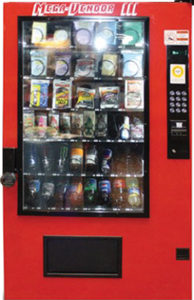 Air Fresheners, interior cleaning supplies, towels, and more for sale in our car wash accessory vending machines. Come grab a gift card. They make a great gift for any occasion. Are you needing some supplies to better clean your car? Don’t worry! We have a vending machine full of supplies. "I love this car wash! Anytime I come here all of the employees, staff and managers alike, are beyond helpful! Not to mention, whether or not you buy a wash, they will still let you use the free vacuums. I don't think you can beat that. Great service, very helpful people, absolutely will be returning!" "The staff was very friendly and helpful. I purchased the monthly package because this wash does a great job cleaning my car." "I used the wash soon after they opened the new renovation. I was extremely pleased with the job it did on my car. It came out sparkling clean and shining. I love the way it cleaned and shined my tires and wheels. It even got my running boards clean which never happens. Great experience."